The next GTA was announced yesterday, and the logo turned up today. San Andreas is coming exclusively to PS2 this October! Rockstar Games announced yesterday Grand Theft Auto: San Andreas, the next iteration in the globally successful Grand Theft Auto franchise. 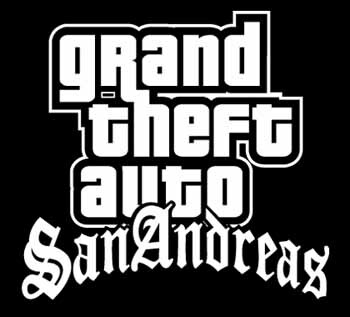 Developed by Rockstar North, the sequel will be available exclusively for PS2 on October 19, 2004 (US) and October 22, 2004 (Europe). "In the past couple of years, we have put an enormous amount of pressure on ourselves to ensure we do everything possible to exceed people's expectations with Grand Theft Auto: San Andreas," stated Sam Houser, President of Rockstar Games. "Even though we still have eight months to go, we are starting to become very proud of what we have achieved and we can't wait to get the game into players' hands." Leslie Benzies, President of Rockstar North, stated, "We are extremely humbled by the success of the Grand Theft Auto series and it has made us push ourselves further than ever to create a title in Grand Theft Auto: San Andreas that will hopefully redefine the Grand Theft Auto series and revolutionize open-ended gameplay and video game production values." Over 30 million units of the Grand Theft Auto franchise have been shipped to date, including over 11.5 million units of Grand Theft Auto: Vice City and over 10.5 million units of Grand Theft Auto 3. Keep your eyes peeled on Kikizo for the first screens and footage - all that's been revealed in the way of visuals so far is the new logo as pictured.